Can you even remember the time when you didn’t have a mobile phone? There are so many different options out there it can be easy to be confused by the offers. Start by knowing what it is you want to get out of your mobile deal and then research the market to find the one that best suits your needs. Where do you start? There seems to be thousands of phones and even more different types of contracts. Don’t rush into the first deal you see but take time to research everything that it out there. Look on the internet and go into a couple of different phone shops that stock various brands. Also, ask your friends – it is always good to go with a personal recommendation. Do you want a great looking phone? Do you want email access or a good camera? When you are looking for a new phone you need to work out what your priorities are. In the same way you need to know how many minutes and texts you are likely to use. Will you be calling a lot of people at peak time? Or do you send a mountain of texts? Being clear of what you want will help you find the best deal for you. If you are happy to commit to a long term mobile phone deal then you are likely to get much more for your money. However, you need to think about whether you are willing to commit to a contract for that long. If not, there are other options such as pay as you go phones. These can be good if you don’t use your phone regularly or only use it a small amount. Once you have decided what your priorities are and how long you want to commit to a deal for you can start shopping around for the best offer. Sometime the best deals can be found on the internet if you order directly from the websites. However, if you don’t feel comfortable doing this or want some advice in person then go into a few shops. Check out the individual suppliers but also go to shops that sell them all as they often offer the best deals. 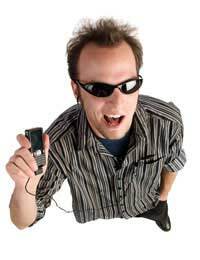 There are all sorts of ways that mobile phone suppliers will try to entice you. Whether it is offering extra minutes, free insurance or cash back deals, try not to jump into anything. Some of the offers are truly money saving but others might tempt you into committing to something that will cost you over the odds in the long term. Whatever if it id that you want from your mobile phone, there will be a deal out there that suits you needs. Do you research and be clear of what it is that you want and need before you start looking around at what is on offer. Try not to be swayed by all the extras and concentrate on how much you will pay a month and what you will get for your money.